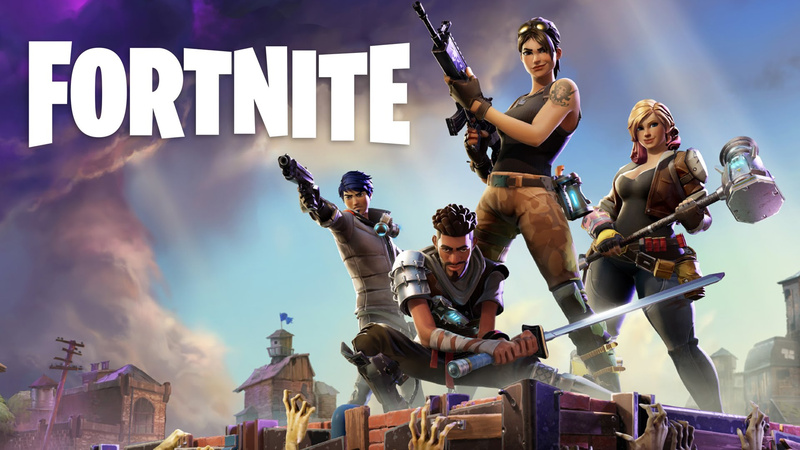 One of the biggest games in competitive gaming right now is Fortnite, a PUBG inspired multiplayer shooter that emphasizes every man for himself. It has a rapidly rising playerbase and plenty of traction on Twitch, with ports of the version available on every major platform except the Switch. However, if recent comments are to be believed, that could be changing in the future. A fan recently asked Donald Mustard—the creative director—on Twitter if a Switch port would be something that Epic Games would be interested in. Mustard was quite clear that he would like to bring it to the Switch, though evasive on any concrete plans. Still, given that the game doesn’t seem to be too resource intensive, perhaps discussions are being held behind closed doors about potential options. What do you think? Would you like to see Fortnite come to the Switch? How much time have you been spending with it on other platforms? Share your thoughts in the comments below. YES PLEASE! Fortnite Battle Royale is so much fun on Xbox..... So I would love to play this game with friends. Never played this nor PUBG. But this'd be massive if it was on Switch. This would be a huge hit on the Switch. It's free, and a lot better than PUBG. This being Epic Games, I have a lot of faith they can bring it onto the Switch and make it work well. Especially given it's ;powered by Unreal 4 which they should know inside out. This would be really cool to see them do, I've played a couple times with friends and it is pretty fun. I'm just wondering how the in game communication with teammates will work. Definitely. I'd love it if it came on Switch. More epic games (pun intended) on Switch? YES! Not my cup of tea, but would be great regardless. In b4 the countless "inferior port" comments from the usual suspects. This may be my first Epic Games game since Jazz Jackrabbit 2. I've also played the hell out of Jill of the Jungle and ZZT back in the day. I miss when they were Epic MegaGames in the 90s, when they used to make a lot of quirky games (since erasing "Mega" from the equation, all they seem to be making these days are FPSs). I am somewhat surprised that the company founder Tim Sweeney is still actively involved in the company. I wish him many more years of success. Wasnt this announced years before PUBG was even known about? @sillygostly You didn't get Shadow Complex? One of the greatest Metroidvanias ever, made more special by the fact that it was before everyone was doing them. @Saego Is it really better than PUBG? I don't like that it doesn't have vehicles, and I'm not sure if you can hear all the other players talk if you're close. I guess it doesn't crash as much, and the building stuff is cool. I frickin' LOVE this game, I'm so in!! Never heard of the game, but looks interesting. Having played PUBG since it’s early access release back in April, Fortnite never looked appealing at all to me. However, there’s no denying its popularity with console players (especially since PUBG is too difficult to run at a decent FPS right now on Xbox). If Epic bring Fortnite to the Switch with cross platform support for Xbox and Switch ala Rocket League, i’ll probably consider giving Fortnite a chance. As it is, i’m happy with my Chicken Dinners on PUBG. Meh, it's no PUBG, but either way more games like this on the Switch is good. Besides, while the game is nowhere near as good, the Fortnite devs are way nicer than the PUBG devs, so I'm happy to support them. I was wondering which BR would hit Switch first, or if a cash grab, cheap one would hit. I look forward to portable 1v100. Wow, a fully-featured online FPS on the Switch! @hadrian yes, but that was the base game. The PUBG inspired mode was added way past the initial release date of both Fortnite and PUBG. This video helps tell you what the game's about. Yes. I'd actually have friends to play it with then. @Mr_Horizon I like how Epic Games support their Battle Royal game far better than PUBG Corporation. They add a lot of stuff to their game, while PUBG doesn't. Aside from that, PUBG runs very bad. The developers don't even try to fix it, it seems. In the end they are both fun games but Epic Games put a lot more love in their games. If you're used to the basic PUBG mechanics, you probably won't like the 'extra' building mechanics in Fortnite. Just give it a few weeks..
Never even heard about this game before......... I'll check a few videos. @Saego I see, thanks! I have barely played either of the two - I'm just a fan of vehicles, so PUBG appeals to me more right now. Well, whatever we can get on the Switch, I'd like to take a look. He said he'd be interested. I'll wait until he commits. @hadrian Yes, but the Battle Royale mode in Fortnite is a secondary mode they only recently released. The primary mode is still in beta, and it is more like Minecraft meets tower defense. My brother has this on his PS4, and I've played it twice and loved it. This would be awesome, it's one lf the few shooters I actually enjoy! I've tried this on PC - couldn't really get into it, but I'd be willing to give it another go on the Switch when / if it releases. This game is more resource intense than you would think. The difference between how it plays on my Xbox one vs my Xbox one x is noticeable. I would assume the difference between the Xbox and the switch would be noticeable as well. @LightBeam Paragon is a dead horse to begin with. There are more than enough MOBA's on the market right now, there isn't really room for Paragon, so honestly, it's better if they focus on Fortnite, because it could get bigger than PUBG. And for PUBG on PC. It's better now it "launched", but honestly. the 1.0 patch shouldn't be seen as a full release at all. The game is still buggy, it lacks new maps, weapons and vehicles. Wouldn't say it's a bad game though, it has this amazing fun factor. But so does Fortnite. I love PUBG on PC, but couldn't stand Fortnite. I'm not a huge cartoony graphics kind of person, and I don't like the speed of the game the running jumping and shooting all do not react the way I like my game to. However it would still be a great pickup for switch to get this game because of it's popularity, especially since I'm doubtful we'd see pubg, however I also do not like playing first person shooters on a controller as well. Therefore neither game is a console game to me at least. And yes PUBG still a bit buggy after it's 1.0 release, but it is way more playable. But I don't understand why you say that it lacks new maps, vehicles and everything when it still have more content that Fortnite. I play both games, I love them, but I don't understand these critics about PUBG being worse than Fortnite when it is absolutely not, they are too different, imo the comparision is worthless. Again, depends on the support for gyro aim. Otherwise I might pick up the PC version eventually. Add gyro please, otherwise no bueno. Great news! But the first question that always pops onto my mind is "When?" I don't own any other current gen systems, so I hope getting this ported won't take years. Would be a day one, minute one purchase for me. This is the type of Gaza me that rarely comes to a Nintendo console. Would be amazing. Please let this become real. I played a few matches of it on Xbox and I really enjoyed what I played, bringing it to Switch would have me downright addicted! I feel like it wouldn't be too difficult because of the art style and the fact that it runs on the Unreal Engine. eh, it'll suffer for sure on the switch. maybe not enough to ruin it (like doom was just enough to keep it decent) but i don't have too much hope if it were to be ported. that and this is a kb/mouse game (like doom/wolf/etc). no jiggle sticks for these types of games. it would just make me super angry. I will never forgive Epic for their treatment of Paragon. Not playing or buying another game from them. @Saego it’s free, in other words, riddled with microtransactions! This would be a huge win for Nintendo! I love playing Fortnite on X1X! I could see FORTNITE coming to SWITCH easier than PUBG. Never heard of it. But these sorts of games generally fall outside my radar. But I am all for more games on Switch, more games makes more sales, makes more incentives for more companies to make more games. Win, win win! Can't say no to a free game. I would buy it but PUBG is so much more fun in my opinion. My son plays the daylights out of this game on his PS4. It is quite good, and the graphics style would complement the Switch nicely. I would certainly buy it. Cross platform play would be nice, too. @Mr_Horizon no vehicles but the shooting is so much tighter and there's a smaller map, so it suffers way less from having to run across a continent to reach the circle. Would try it out, but the instant wall building does look like it can be annoying quick in a gun fight. Was never interested in Fortnite on the PS4, since I was busy with the Switch nowadays. Since this might come out on the Switch, that sparks my interest! Oh yeah please bring it. I will buy iy for both the switch and PC if they do. So, do they mean the original pve game, or Fortnite battle royale? I'd actually like to see more support for the pve version, as it's a little distressing to see people care about it so little they just call the pvp game 'Fortnite' instead. my kids play this almost everyday on the PS4....I think it's just a Beta version though. @sillygostly Sweeney and Mark Rein.....it's largely the same Epic. OTOH they are now majority owned by the Chinese government via Tencent...so......I sometimes wonder just how independent they really are. I haven't thought of Jazz Jackrabbit in years. Ever since Unreal hit it big and their engine started competing with idTech (eventually winning...which is just....so....wrong....) they stopped making fun quirky games.